Defining ‘tools’ as a mix of theoretical frameworks and practical instruments, TCi explores what kind of planning approaches seems to be most appropriate to make the needed change happen; whom are the actors of change and how they could partner to leverage real change; what are the planning processes and steps we need to capitalize all territorial assets; how this translates in meaningful policies and workable governance structures at all territorial planning scales; what kind of plans and designs we need to implement those policies; and last but not least how to finance and regulate territorial protection and transformation within the notion of territorial and social justice. Finally we also look at some lessons learnt from planning models throughout human history, as well a snapshot of the current body of knowledge and planning resources – including an attempt of ‘territorial glossary’. Whenever possible inspiring practices will be added to make the theoretical assumptions more tangible. As outlined in previous sections, the existing set of international conventions and policy frameworks related to territorial development provides the frame of the territorial toolbox, including the SDG’s, NUA and IG-UTP. The Hand-booklet of the IG-UTP provides the most up to date practical instrument to implement the NUA and will serve as the main compass. For more on the Handbook IG-UTP click here. TCi is challenging readers and users to reflect from their own theoretical and practical experiences. The ‘territorial glossary’ will apply a ‘wikipedia-like’ formula to gradually expand the common understanding on our core ‘jargon’. 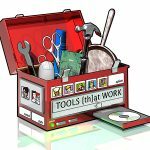 The functionality of territorial tools is not just to provide a virtual library but rather to use and improve these tools through practice and training. It is probably an understatement that there is currently a serious mismatch between the people and skills we have and we need to deliver the change we need. Hence, territorial capacity building, strengthening and even ‘re-learning’ will be crucial to meet the high expectations raised by e.g. the UN Urban Agenda. TCi wants to gradually reduce the territorial capacity deficit.